RAMALLAH, West Bank (AP) — Medical files released for the first time Thursday portray Yasser Arafat as a robust 75-year-old whose sudden health crisis, a month before his mysterious 2004 death, was initially blamed on viral gastroenteritis. The treatment notes by Arafat's Arab doctors who cared for him at his West Bank compound before he was airlifted to France are part of a renewed push to find out what killed the Palestinian leader. For years, little was heard about official Palestinian efforts to uncover Arafat's cause of death. An investigation by the Arabic satellite TV channel Al-Jazeera, in collaboration with Arafat's widow, Suha, has put new pressure on Arafat's successor, Palestinian President Mahmoud Abbas, to be seen as vigorously searching for the truth. Last week, Switzerland's Institute of Radiation Physics said clothing and personal items used by Arafat in his final days showed elevated traces of the radioactive agent polonium-210. The items were provided by Mrs. Arafat and sent to the lab by Al-Jazeera. 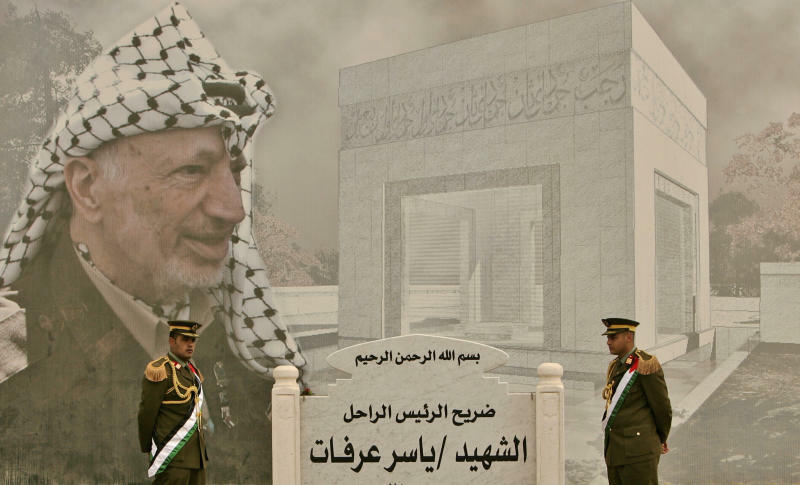 The findings, though inconclusive, revived Palestinian claims that Arafat was poisoned. Some Palestinian officials have charged that Israel poisoned Arafat. Israel has repeatedly denied the charges over the years, saying it would not have been in Israel's interest to kill him, though it blamed him for Palestinian violence. An Israeli official dismissed the renewed allegations as "ludicrous." Mrs. Arafat, who refused to consent to an autopsy immediately after her husband's death, has lived abroad for years and is estranged from most of the Palestinian leadership. Abbas and his aides have sent conflicting messages about their intentions. Earlier this week, senior Palestinian official Saeb Erekat said Abbas made a final decision to allow an autopsy. 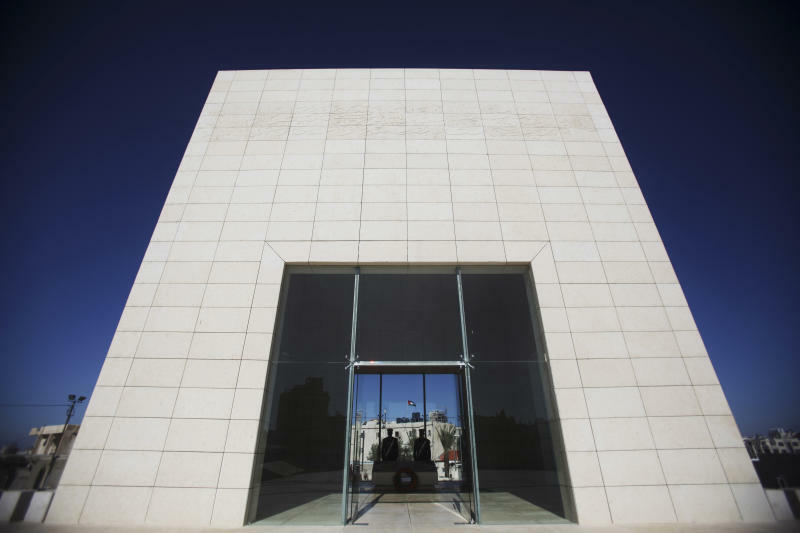 On Thursday, members of a committee investigating Arafat's death were less forceful. Justice Minister Ali Mohanna said Arafat's nephew, Nasser al-Kidwa, asked for the full report from the Swiss lab, and a decision on further testing would only be made after reviewing the report. While backtracking on an autopsy, Arafat's doctors for the first time released their detailed treatment notes covering the 18-day period when they cared for him at his Israeli-besieged West Bank compound before he was airlifted to a French military hospital on Oct. 29, 2004. Based on the doctors' report and later test results in France, Arafat had escaped many of the chronic afflictions, like diabetes, common in his age group. A non-smoker, he weighed 68 kilograms (150 pounds). He was taking medication for chronic tremors whose cause was not explained further. They wrote that he suffered from a gallstone and had vitiligo, a loss of pigmentation of the skin. Arafat's downward spiral began just before midnight on Oct. 11, 2004. Two hours after a late supper, he vomited but had no other complaints, the report said. His doctors diagnosed him with viral gastroenteritis. He improved with medication and went about his daily routine, and four days later even joined in the dawn-to-dusk fast of the Muslim holy month of Ramadan. But there was persistent vomiting and diarrhea, and he began feeling weaker. His blood platelet count dropped, and on Oct. 28, his medical team — by now consisting of doctors from Tunisia, Egypt, Jordan and Palestine — decided to send him abroad. The next morning, he was flown to France, where he died on Nov. 11, 2004. An Israeli specialist, Dr. Joseph Zimmerman, who reviewed the Ramallah medical file at the request of The Associated Press, said Arafat's early symptoms were not consistent with viral gastroenteritis. "I don't think that this common garden-variety viral infection would progress to such an extent and result in a fatality," said Zimmerman, a senior physician at Hadassah University Hospital in Jerusalem. Zimmerman said poisoning seemed unlikely, even by a radioactive agent such as polonium-210. He pointed out that Arafat's platelet counts dropped suddenly and stayed low and that he eventually exhibited signs of liver dysfunction. "This is not typical of poisoning," Zimmerman said, adding that a bacterial infection could have caused these symptoms. French doctors said Arafat died of a massive stroke and suffered from a blood condition known as disseminated intravascular coagulation, or DIC. The records were inconclusive about what brought about the DIC, which has numerous possible causes, including infections and liver disease. Parts of Arafat's French medical file were also posted Thursday on the website of the Yasser Arafat Foundation, though key elements had been published in the past. At Thursday's news conference, one of Arafat's physicians, Dr. Abdullah Bashir, said he believes the available medical data points to poisoning, but would not elaborate. Bashir released a 2010 exchange of letters with the French hospital in which his request to get more information on toxicology was turned down. Associated Press writers Blake Sobzcak in Jerusalem, Mohammed Daraghmeh in Ramallah and Cassandra Vinograd in London contributed reporting.